Whilst visiting Kudin Most last week we stumbled upon an old and very beautiful Monastery. Deciding it would be worth trying to get inside for a look around we returned a few days later and pressed the electronic intercom button. We were immediately admitted by a very charming and personable young man who explained that he was a Theology student from BIH helping out for a couple of weeks by acting as a guide. His English was immaculate and his knowledge both of the Monastery and his Religion very extensive. 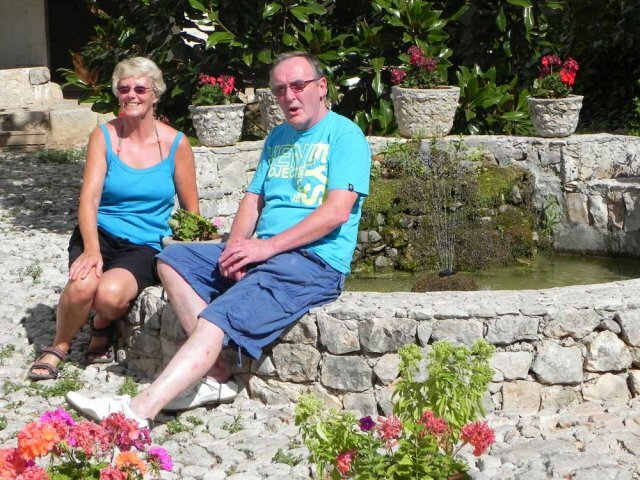 Moving through the entrance lobby we exited into a beautiful courtyard in full bloom and containing a fountain and pond with a ledge to sit upon and relax. Next we were shown the chapel with its beautiful although now rather faded frescos that cover most of the walls and the domed roof. 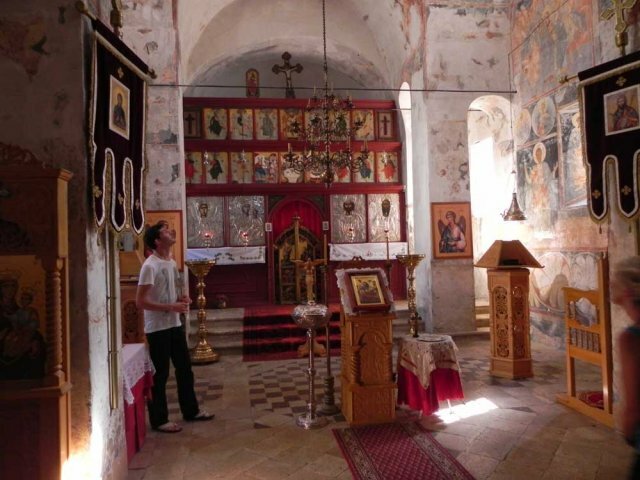 The chapel dates from the 13th Century and the frescos to the 16th. 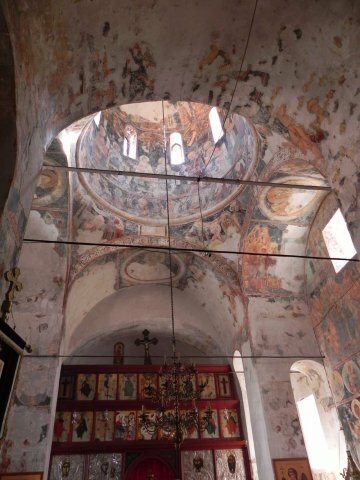 When the Ottoman empire ruled the Frescos had to be plastered over and then the plaster whitewashed so that no trace of them could be seen. 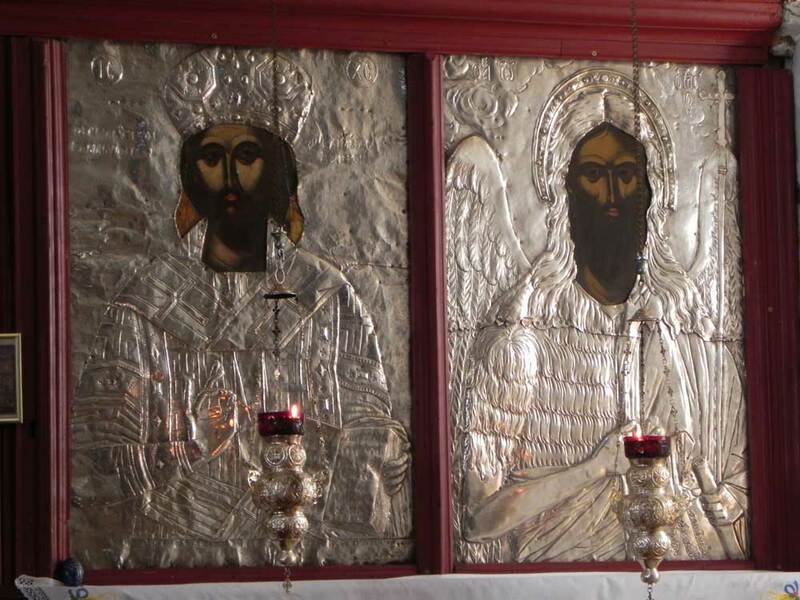 There are also 4 large Icons that make up part of the “rood” screen in front of the altar. 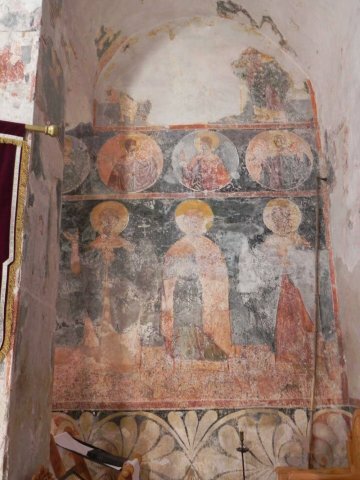 Only the faces show on these icons the rest is covered by a beaten silver sheet that mimics in every detail the painting that they obscure. 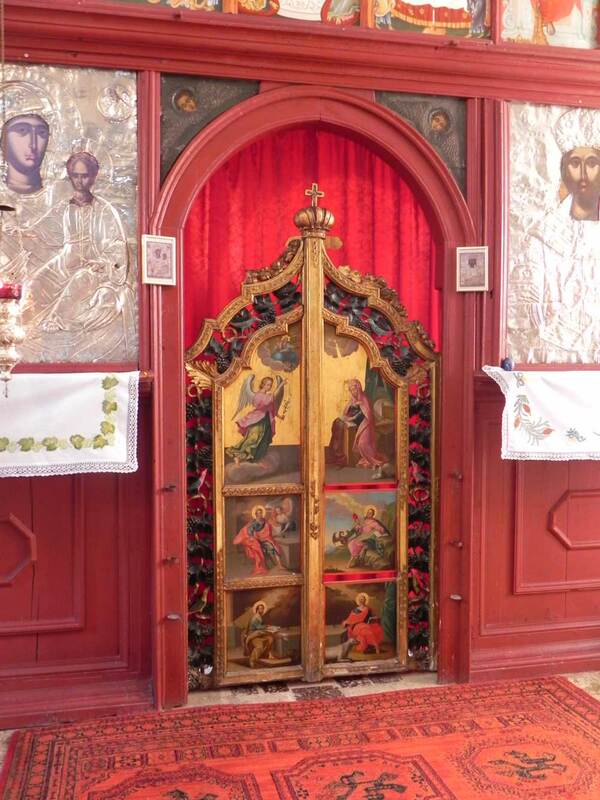 The door through the screen to the alter is wood and painted both elaborately and most exquisitely. The icons on display are in fact copies as the originals were stolen many years ago and were discovered quite recently in Holland. They have now been repatriated and are kept in the Monastery Museum a few yards away but now under the strictest security, they are viewed as part of the museum tour. Photography is allowed inside the chapel but only without flash as the frescos will be even more damaged it is felt. The museum tour is the only cost here but at 20Hrk (£2.50) it is a must do. Photography is not allowed inside the museum for security reasons but as I am British I was allowed a quick shot (no flash) of an Icon of St George killing the Dragon. 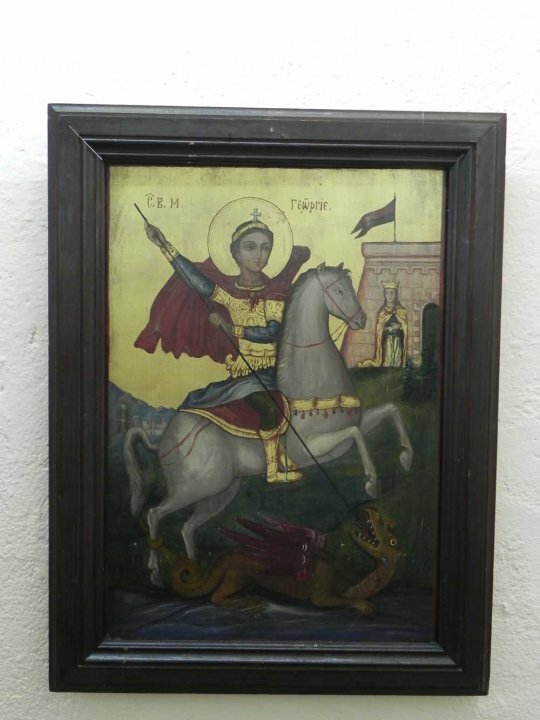 Must research how a Maltese myth became a Canon of the Orthodox church and the Patron Saint of England, one day. The original icons which were stolen will take your breath away when you get to see them, the colours are as crisp and fresh as the day they were created. What’s appropriate on and off the beach?